ASUS today announced a Zen-inspired product lineup designed to provide users with the ultimate digital life. Members of the press got a close-up look at these innovative products at the ASUS Zensation press conference demo area. 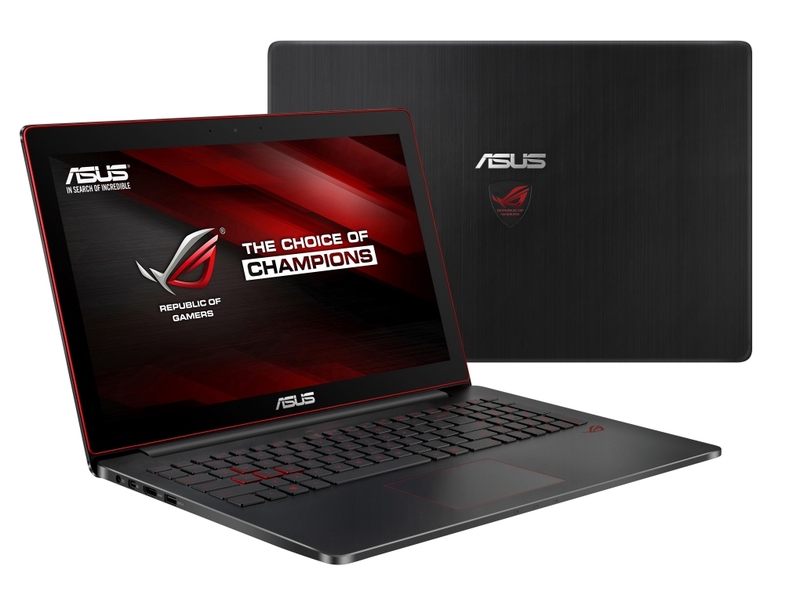 ASUS Republic of Gamers (ROG) introduced a range of gaming notebooks, desktops, monitors, a mouse, a graphics card, and ROG Certified products. The ASUS ZenBook UX305 and UX303 in their striking new colors, along with ASUS Transformer Book T100HA, were on display. Several ASUS desktop PCs were on show, including the ASUSPRO E210, the K20, a VivoPC VC65, VivoMini UN65H and UN45, and Chromebox UN62. The demo zone featured the ASUS E1Z, the world’s first palm-sized LED projector that can project content stored on an Android™ phone via a micro USB connection. This 34-inch 3800R curved display features wide-viewing angles, a 3440 x 1440 native resolution, and 21:9 aspect ratio. It features NVIDIA® G-SYNC™ display technology to deliver smooth, lag-free visuals. G-SYNC synchronizes the display’s refresh rate to the GPU in any GeForce® GTX™-powered PC to eliminate screen tearing and minimizing display stutter and input lag. This results in sharper, more vibrant images; and more fluid and responsive gameplay. It has extensive connectivity options that include DisplayPort and HDMI. ROG SWIFT PG279Q is a 27-inch WQHD 2560×1440 display with IPS technology for wide 178 degree viewing angles. It has an ultra-fast 144Hz refresh rate and features NVIDIA G-SYNC technology for smooth, lag-free visuals. ROG SWIFT has extensive connectivity options that include DisplayPort and HDMI. ROG Poseidon GTX 980 Ti incorporates the DirectCU H2O hybrid cooling solution with a combined vapor chamber and water channels to give users cooler temperatures along with improved noise reduction for 3x quieter performance. ASUS graphics cards are produced via exclusive Auto-Extreme technology, an industry-first 100% automated process, and feature aerospace-grade Super Alloy Power II components for unsurpassed quality and reliability. ROG Poseidon GTX 980Ti also features GPU Tweak II with XSplit Gamecaster for intuitive performance tweaks and gameplay streaming. ROG Spatha is optimized for MMO gaming, it has a magnesium alloy chassis with 12 buttons, an exclusive socket design for customized click resistance, plus a stylish magnetic charging stand. Gamers can use Spatha in either wired or wireless modes; they can even customize the LED light effects across three areas from a selection of 16.8 million colors. ROG G751JT/JY are gaming notebooks that feature NVIDIA G-SYNC display technology. This technology helps deliver the smoothest and fastest gaming experience by reducing lag, minimizing frame rate stutter, and eliminating visual tearing. ROG G751JT/JY are powered by Intel® Core™ i7 processors and up to NVIDIA GeForce GTX 980M overclockable graphics. An intelligent cooling solution — consisting of dual fans and rear thermal vents — directs heat and noise away from the user to ensure hours of comfortable gaming. ROG G501 is an ultra-thin and light gaming laptop with a powerful Intel Core i7 processor and NVIDIA GeForce GTX 900 series graphics, 4K/UHD visuals and upgraded Hyper Cool technology. It features dual independent fans and copper heat sinks to ensure efficient thermal management for smooth and stable performance even at high loads. ROG GL552 features a 4th-generation quad-core Intel Core i7 processor, gaming-grade discrete graphics card, and optional solid state drive. It has an aggressive stealth fighter-inspired design, with a LED-backlit keyboard that glows red, and specially-marked WASD keys. ASUS GameFirst III software prioritizes game data packets to ensure smooth, lag-free gaming. The GL552 has an easy-access design for additional storage and memory upgrades. 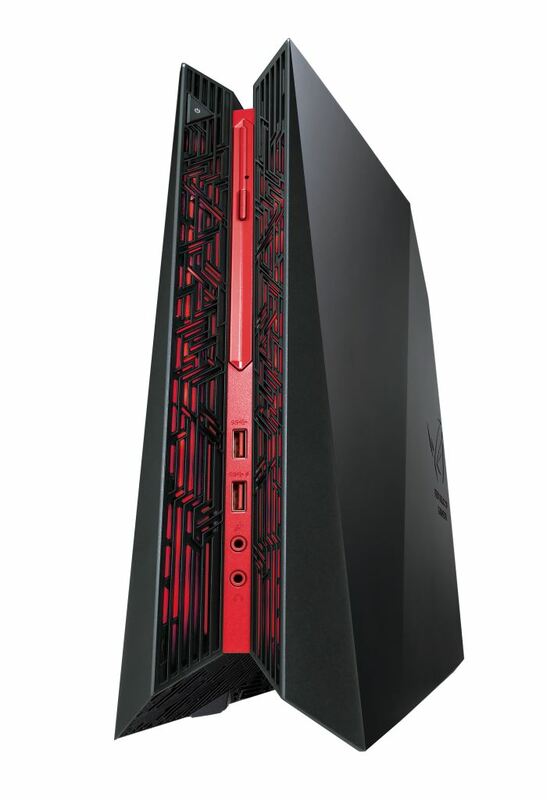 The ROG G20CB is a gaming desktop which packs a 6th generation Intel Core processor and NVIDIA GeForce GTX graphics in a small and slim 12.5-liter chassis. It features PCI Express® Gen 3 x4 SSDs, DDR4 SDRAM, and USB 3.1 for high speed data performance. Advanced Aegis II software helps enhance the gaming experience, making it easy for gamers to monitor system performance or record and edit gameplay videos to share on social media. The G20CB also has a customizable 8-million color light effects, complete with pulse and sound modes. The ROG Certified program serves to give gamers the added assurance that their preferred gaming gear and components like memory modules, cooling kits, cases and others work perfectly with ROG products. ROG Certified products undergo extensive testing and validation by ROG engineers, with only the very best making the grade. The ROG team is currently working with leading component manufacturers like Avexir, BitFenix®, Bitspower®, Corsair®, G.Skill, HyperX®, In Win, Lian-Li and Thermalright, with more partnerships in the pipeline. The ROG Certified logo will be placed on all certified products that will be available for purchase on the ROG partners’ own distribution channels. The terms of the ROG Certified program will vary by region. The innovative ASUS ZenBook Series combines the most advanced and powerful components with elegant, sophisticated design and precision craftsmanship. The ZenBook UX305 is a winner of a 2015 iF Design Award and a 2015 Best Choice Award. It is the world’s slimmest 13.3-inch QHD+ ultraportable and is now available in three gorgeous colors — Obsidian Stone, Ceramic Alloy or a striking brand-new shade called Aurora Metallic. 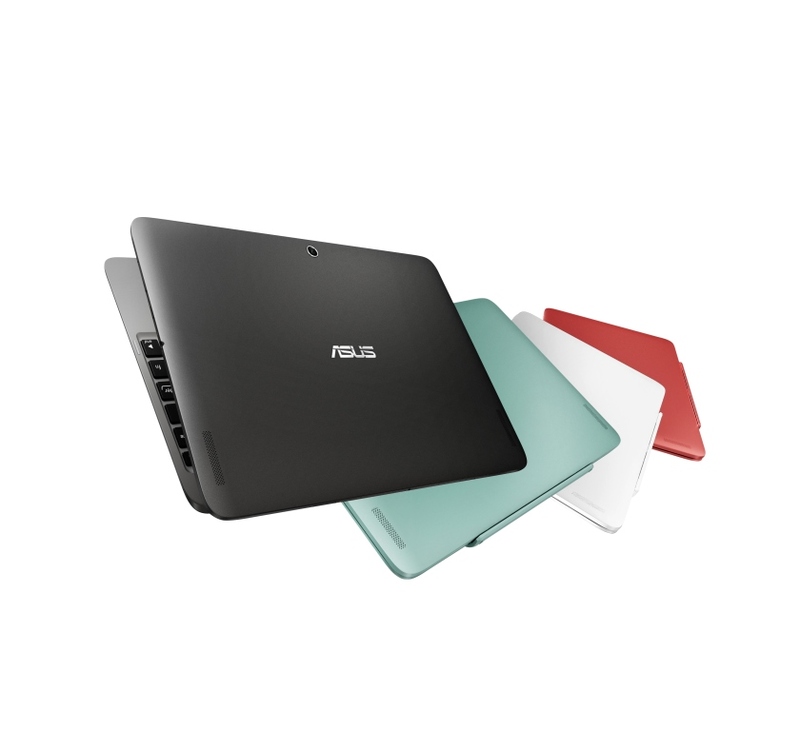 The Ceramic Alloy ZenBook has a blasted finish that gives it an elegant ceramic-like texture, while the Aurora Metallic color option has a unique blasted finish that is gentle to the touch. The sublime ZenBook UX303 also gains a gorgeous new color option, Rose Gold, in addition the existing Smokey Brown shade. The sleek and sophisticated UX303 looks even more stunning in this bold new shade, which shows off the signature Zen-inspired concentric-circle pattern to great effect. 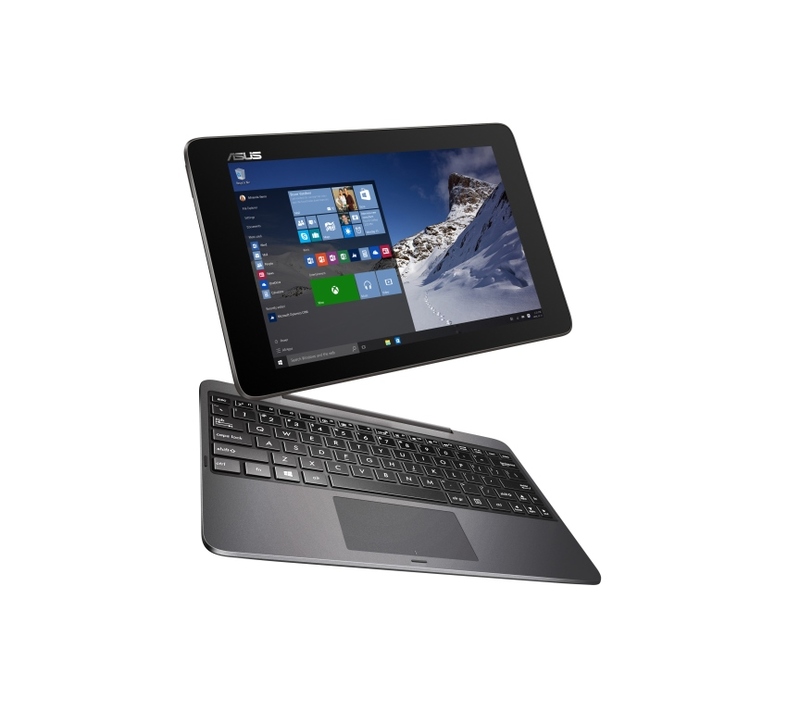 ASUS Transformer Book T100HA is the successor to the best-selling Transformer Book T100TA 2-in-1, and combines the power of a stylish 10.1-inch laptop with the convenience of a super-slim tablet. This new iteration has up to 14 hours of battery life, and has an ultra-thin 8.45mm chassis that weights just 580g. It has a metallic finish and is available in Silk White, Tin Grey, Aqua Blue and Rouge Pink. The T100HA is powered by a choice of quad-core Intel® Atom™ ‘Cherry Trail’ X5 series processors, and has 4GB RAM and a USB Type-C port. This device comes pre-installed with Windows 10 and will be available in the third quarter of 2015. The ASUSPRO E210 features a compact 1-liter chassis with its own rotating VESA mount to give users more placement options for maximizing workstation space. The E210 is highly reliable and is energy-efficient; its fanless design ensures almost-silent operation, making it ideal for quiet environments like offices or libraries. The E210 features a 4-in-1 card reader, as well as USB 3.0, USB 2.0, HDMI, VGA, and serial (COM) ports for compatibility with a wide range of peripherals. Windows Embedded OS allows users to customize intelligent solutions for thin-client and industrial applications. 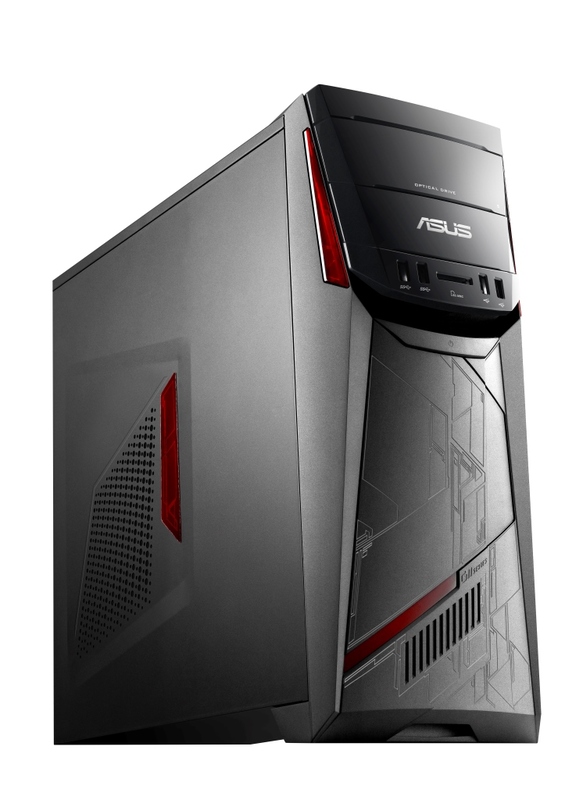 The ASUS K20 is a desktop PC housed in an elegant and space-saving 10-liter chassis. It is the first small form factor desktop PC to feature SuperSpeed USB 3.1 for fast data transfers. This multimedia-focused PC features discrete NVIDIA® or AMD graphics, 4K/UHD (ultra high definition) resolution visuals, and SonicMaster technology. It features 802.11ac Wi-Fi for a smooth online experience; and operates at a whisper-quiet 23dB at idle – quieter than a library! ASUS VivoMini is an ultra-compact desktop tailored for a multitude of uses. VivoMini UN65H has an Intel Core processor and Intel® Iris™ Pro graphics; and supports M.2 SSD and 2.5-inch hard disk to speed up operating systems and yield larger storage space for added productivity. The VivoMini UN45 has a fanless design that lets it run silently even at full load, making it ideal for quiet offices and libraries, or for use in digital signage. It also gives users faster data access thanks to M.2 SSD support.Both VivoMini PCs feature faster, more stable networking performance thanks to 802.11ac Wi-Fi. The Good Design Award-winning ASUS Chromebox CN62 features the latest 5th generation Intel processors. It boots up instantly and provides users with the performance required to run apps smoothly or watch videos in 4K/UHD. There’s impressive networking performance too, thanks to 802.11ac Wi-Fi. ASUS Chromebox is extremely silent and keeps noise levels down to just 17dB at idle – quieter than a library! It’s a friend of the environment too, drawing just 6W at idle – less than an LED bulb. The ASUS E1Z is the world’s first LED projector that can project content stored on an Android phone via a micro USB connection. This portable, palm-sized projector has a built-in rechargeable battery that lets users conduct presentations without having to plug the device into a power source. The E1Z can also double as a 6000mAh power bank to charge mobile devices. OPPO Enters a New Territory, Nepal, With The Selfie Expert, OPPO F1s!